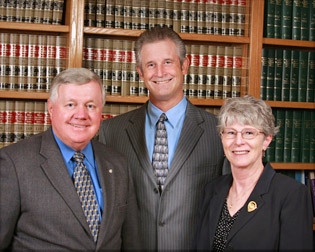 Caldwell, Kennedy, & Porter has been advising clients in Southern California for more than 35 years. Results-oriented attorneys at Caldwell, Kennedy, & Porter advocate for the clients’ interests first. While they maintain trial readiness, negotiation tempered by reason and sensitivity to the client is typical of the firm. A testament to the way in which Caldwell, Kennedy, & Porter conducts its practice is that numerous court personnel rely on the firm for legal counsel concerning personal business needs. Caldwell, Kennedy, & Porter is an association of law professionals who also have experience as business executives, teachers, public officials, directors, and school board members. Businesses large and small rely on the varied and in-depth business backgrounds of the attorneys to provide advice and resolve legal issues.